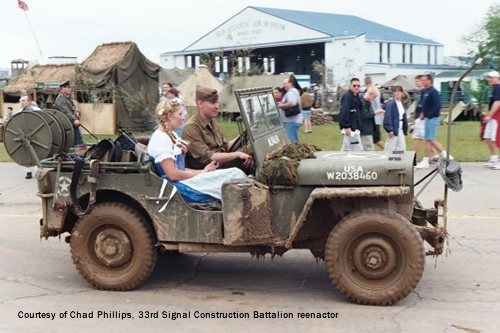 The U.S. Army Signal Corps gets virtually no coverage by manufacturers or modelers. These men-and women-kept the lines of communication open between command centers and the front lines. They helped soldiers and their families stay connected through V mail. They documented WWII through photographs and movies that we modelers rely on today. So this offering from C.G.M., which decks out a jeep for Signal Corps use, is one of those kits that you really want to root for because it offers a unique subject that "the big boys" are never going to produce. Unfortunately, its execution is needlessly frustrating. It's very difficult to find any background info on the K-38-A trailer (the hyphens are the correct nomenclature) on the Internet. 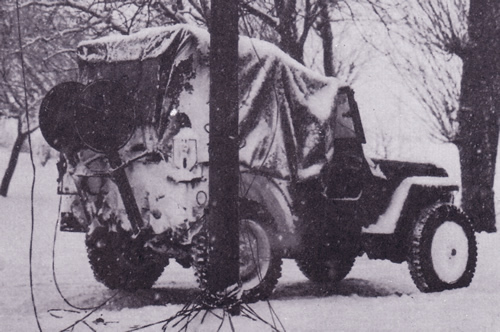 I was unable to find any photographic evidence of this trailer online or in my books, and just one photo of the jeep with this particular cable reel arrangement (there were several), which appears in U.S. Army in World War II, The European Theater Pictorial Record, one of the Army's "green" history books. Fortunately, modeler Pierre Piveteau, who supplied research materials to C.G.M., tipped me off that this trailer was later redesignated as M367. The rig was the standard ¼ ton Bantam trailer with two large equipment chests. (There was also a K38 trailer used by the Signal Corps, and it's a short box-like design on two wheels; C.G.M. offers this trailer in kit #005B). 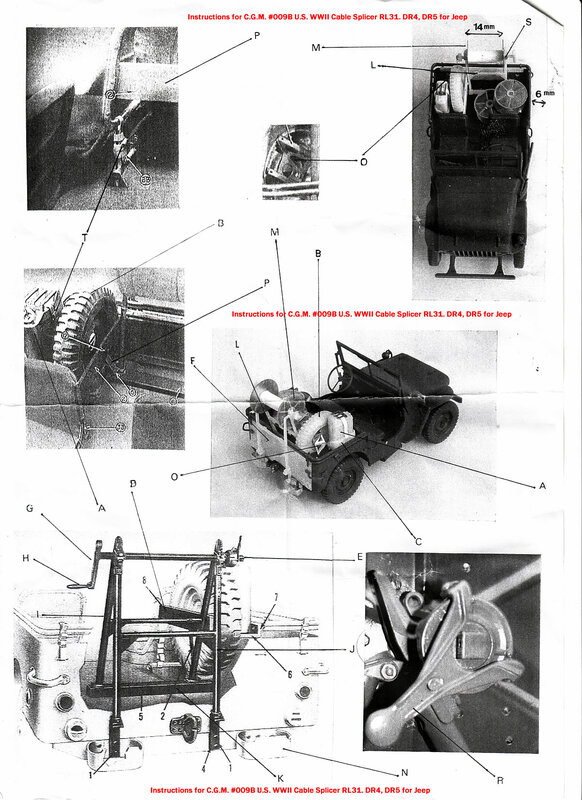 This info led me to an online edition of a 1972 technical manual (TM 9-2330-201-14) for the M367 trailer that shows the tool chests, but with different hardware locking devices. Pierre supplied me with a few photos and a helpful diagram. And a series of emails led me to a superb article by Howard Aran. The next major problem is the instruction sheet, which is vague, poorly illustrated, and lacks even elementary research information that would be beneficial for the modeler, since this isn't an overly documented subject. C.G.M. offers no information on what gear was carried by this trailer, nor are there any tools or supplies, except a resin piece that is apparently a "Crank GC-4-A," but no instructions on how it is used (it is supposed to be attached to the reel). I happened to purchase C.G.M. 's U.S. WWII Cable Splicer RL31. DR4, DR5 for Jeep (#009B) at the same time as this kit; it features a different application of the cable reel rig mounting, and those instructions have much better information and illustrations. Of course, you shouldn't have to buy two kits in order to figure out how to build one of them. So I've included the instructions for that set here to help you out if you wish to tackle this project.